492 pages | 38 B/W Illus. Kristin Lené Hole teaches in the film department at Portland State University. She is the author of Towards a Feminist Cinematic Ethics: Claire Denis, Emmanuel Levinas, and Jean-Luc Nancy (2015). Dijana Jelaca teaches in the Department of Communication and Media Studies at Fordham University. She is the author of Dislocated Screen Memory: Narrating Trauma in Post Yugoslav Cinema (2016). Her areas of inquiry include transnational feminism, trauma and memory. Her work has appeared in Camera Obscura, Feminist Media Studies and elsewhere. E. Ann Kaplan is Distinguished Professor of English and the Women's, Gender and Sexuality Studies Department at Stony Brook University, where she also founded and directed The Humanities Institute for twenty-seven years. 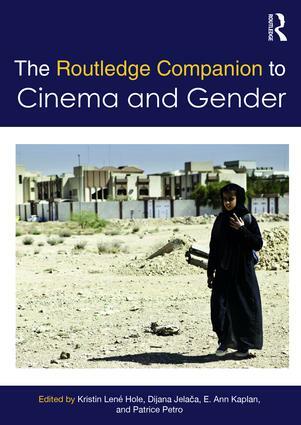 Her recent research focuses on trauma as evident in her co-edited book, Trauma and Cinema (2004) and her 2005 monograph, Trauma Culture: The Politics of Terror and Loss in Media and Literature. Her book on Climate Trauma: Foreseeing the Future in Dystopian Film and Fiction continues her research on trauma, and was published in 2015. Patrice Petro is Professor of Film and Media Studies at the University of California, Santa Barbara, where she also serves as Director of the Carsey-Wolf Center. She is the author, editor, and co-editor of eleven books, most recently, After Capitalism: Horizons of Finance, Culture, and Citizenship (2016), Teaching Film (2012), and Idols of Modernity: Movie Stars of the 1920s (2010).